The wine displays a similar density to the rock upon which it grows. Highly refined structure, tight-knitted with magnificent concentration on the palate. The refreshing balance of the fruit and acidity shows it best after aeration. Subtle hints of smoke emerge, and the wine has a delightful structure and is positively charming without the flattery. Good cellaring potential. 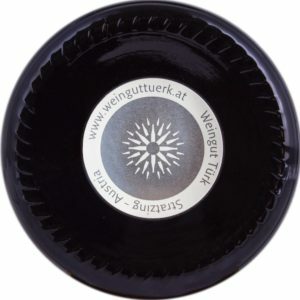 This Veltliner is a typical Austrian - a diplomat. It pairs well with a variety of dishes, such as to virtually all white meat dishes, asparagus, and it is worth trying with shellfish and seafood. Enjoy a glass at lunch with spaghetti carbonara, a fine combination to salmon steak with fennel orange sauce. Or to a evening dinner with a ​​cheese board or cheese fondue.